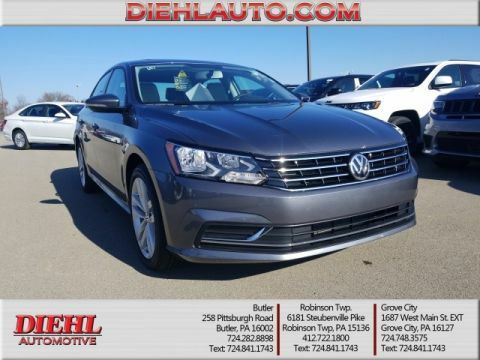 Only 6 Wolfsburg Edition models left in stock! 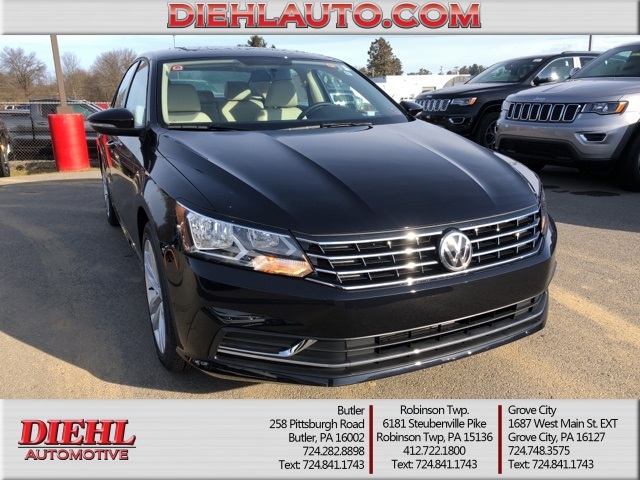 Deep Black 2019 Volkswagen Passat 2.0T Wolfsburg FWD 6-Speed Automatic with Tiptronic 2.0L I4 TSI Turbocharged Cornsilk Beige Artificial Leather. 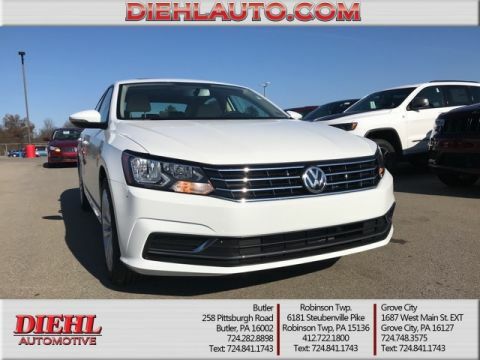 When you come over to Diehl Volkswagen of Butler, you’ll discover a family-owned dealership that’s dedicated to being a great neighbor here in Butler, PA as we provide stunning new Volkswagen models and high-quality used cars, and so much more, to drivers all over the Pittsburgh, Cranberry Township, Gibsonia, Wexford and New Kensington areas. 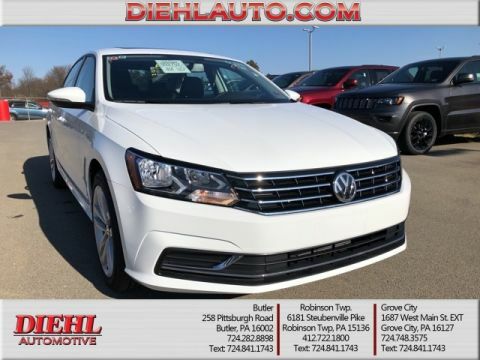 For anything Volkswagen or automotive related, make our VW dealership your number-one stop, and become part of the proud Diehl family. 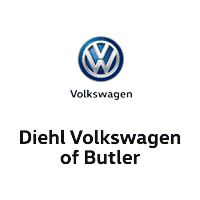 Diehl Volkswagen of Butler	40.8146876, -79.928365.